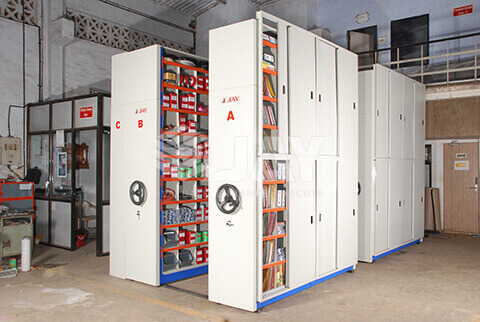 Jay develops Mobile Pallet racking system with safety the heart of the design. The racking system will have 'Auto-Lighting system' apart from many other salient features. Jay bags a prestigious project from a automobile spare parts manufacturer of rubber moulded components. Jay Develops Mezzanine Floor with Sign beams, and takes the mezzanine floor to a new high in the industry.